Have you seen the latest apps for ride-sharing? Some of them have strict policies on the types and years of cars allowed to work with the app. While it’s not the case in every city, Uber has some pretty specific rules about what cars can be used by drivers. For the most part, they like when cars are over 2015 and have lots of modern features, such as infotainment systems and safety features. When you visit Brenner Car Credit, you should learn everything that there is to know about our selection of vehicles. It is not uncommon for cars and trucks to use all four wheels to gain traction in poor road conditions. For instance, if you encounter slippery conditions, the vehicle may automatically go into four or all-wheel drive (AWD) mode. Although it may be tempting to drive on your winter tires throughout the year, it is not a recommended practice. 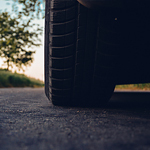 There are distinct reasons why it is a good idea to switch out your tires with the weather conditions for optimal road performance and safety. The tire experts at Brenner Car Credit want you to understand how to best put your tires to work for you. Because winter tires are engineered for colder temperatures, they wear faster when used on warmer pavement. Specially designed all-season and summer tires are designed to take the heat and last longer. If you're seeking out a used car, and want a process that gives you plenty of selection and is hassle-free. We can help at Brenner Car Credit, serving those in Selinsgrove. Our goal is to give you many choices at our buy here, pay here location and that includes helping those with bad credit find a reliable vehicle and a chance at car ownership. Here at Brenner Car Credit, we believe that having some less than ideal credit shouldn't stop you from car ownership in Williamsport, PA. A car is a must in our area and with us we work with drivers from all credit backgrounds at our buy here, pay here location to help you find an affordable used car. When you start to feel your car grinding its gears with a screeching sound every time you brake, you know that you're in for a trip to the service department. There are some common noises that your car makes when it's ready for a brake repair. This includes rubbing, squealing, and screeching whenever you brake. This indicates that the brake pads and shoes need inspection and possible repairs. 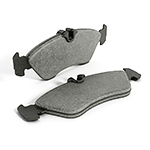 If your car vibrates or the steering wheel pulses when you brake, then your brakes and rotors may be warped. We want to help every driver get into a vehicle that will meet the needs of their life, and a big part of that is making sure we can work with any credit score. Even though there are many of you out there who are struggling with their credit scores, we are here to help. We get you approved and then find you the car that meets your needs. We have many used cars in Mifflintown that will help you build your credit with a reliable vehicle. How Can Our "Buy Here Pay Here" Program Help You Buy a Car in Williamsport? Your credit score isn't just some number. It's one of the biggest factors behind whether or not you gain access to the resources to buy things like cars. A bad credit score can lead to frustrating rejections that can keep you from finding an affordable vehicle. If you're struggling with the effects of a bad credit score, the finance team at Brenner Pre-Owned Cars can help. Is Your Bad Credit Making it Hard to Find a Car? Come and Talk to Brenner Pre-Owned. When you're looking for your next car, there are some big factors that can have a major effect on what's available to you. One of the biggest? Your credit score.